I'm sorry but can anyone out their enlighten me as to when socks started to be gender specific??? I thought that socks were just socks? According to George at ASDA I'm wrong! Bubba's favourite Paw Patrol characters are Skye and Zumer. Why is it that when he wants to wear the Skye pair that he is then wearing girls socks? They aren't designed or made any differently to the boys socks so what makes them so different? Because they have a girl character on? Because they are pink? 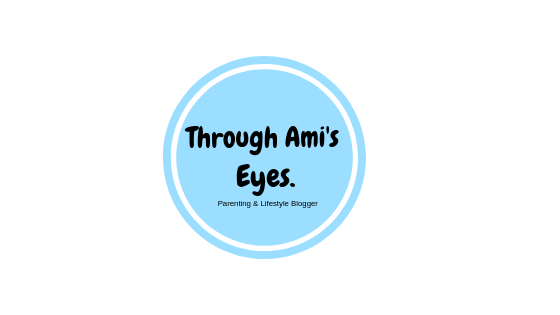 I don't know but I do know that this is something that has got my back up and A LOT of you lovely lots out there seem to agree. I shared a post on my Facebook page about these socks and it was seen by over 15,000 people and almost every single one of them agreed with me that this type of gender stereotyping needs to stop! They are socks for goodness sakes!!! 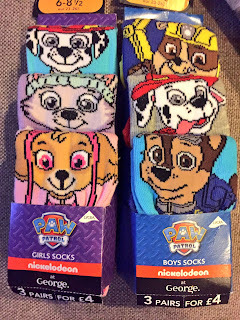 Why do socks need to be separated into boys and girls? At this moment in time, wearing pink Skye socks doesn't bother Bubba. He can't read that the packaging that says GIRLS socks and he doesn't have the stereotype drummed into him that pink is for girls. He just sees one of his favourite characters and wants to wear the socks with her on. What bothers me is as he gets older he will become aware of this totally unnecessary labelling and I don't want him to ever feel like he can't like something just because it is classed as 'girls'. I can understand labelling things like underwear as they are designed differently for each gender but socks are just socks!!! 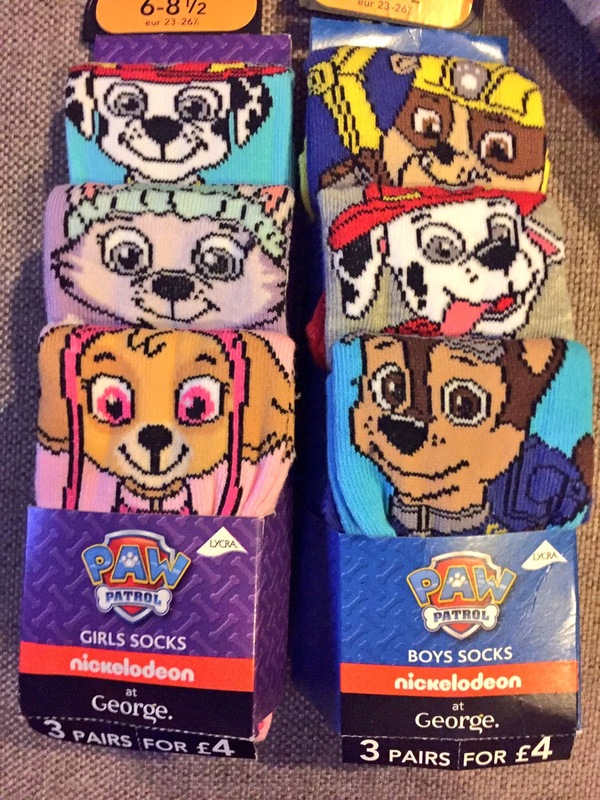 There is no difference between the boys and girls socks so why should they be labelled and potentially make children feel awkward for wearing the ''wrong'' gender! I know that there are more important things happening in the world right now. Socks may seem insignificant to some but to me I just can't understand why the labelling is necessary? Why can they not be kids socks?? This is the same with character t-shirts. All the boy characters are on the ''boys'' t-shirts and the girl characters are on the ''girls'' t-shirts. 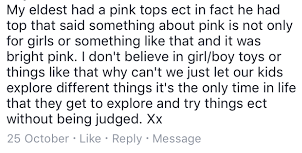 Surly they are just t-shirts and a child should be able to pick and wear from any section without feeling like they are choosing the ''wrong'' gender.